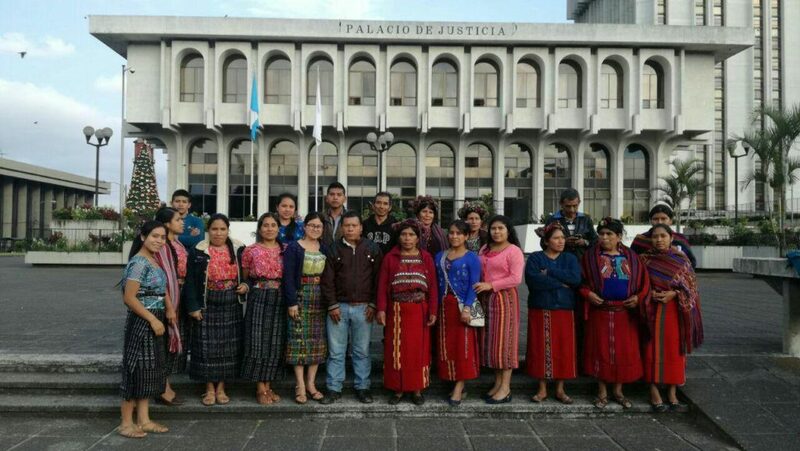 Young Ixil university students stand in solidarity with genocide survivors outside of court. 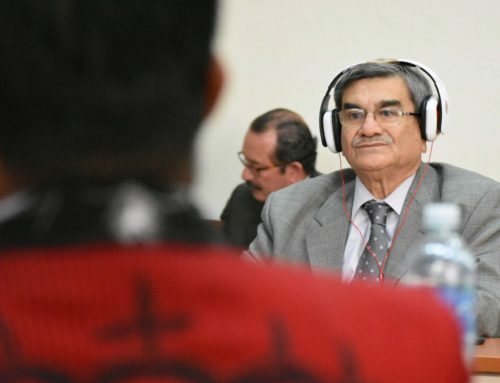 Friday, December 1, marked the seventh trial date since the case for genocide against Efraín Ríos Montt and José Mauricio Rodriguez Sánchez was reopened on October 13. 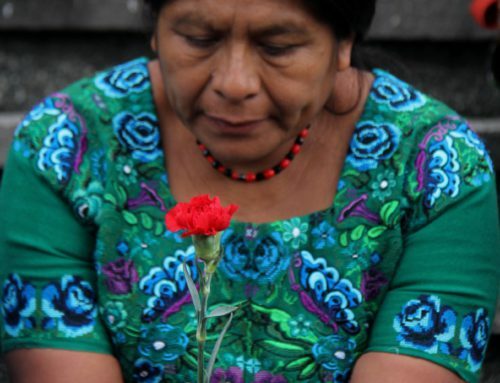 Three Ixil witnesses shared stories of survival in the face of the military’s extreme brutality over the course of several years. 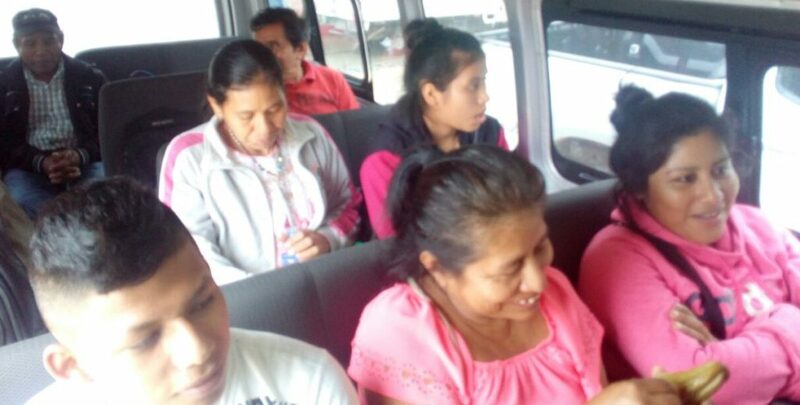 Present at the trial were more than fifteen members of the AJR, nearly half of them youth. 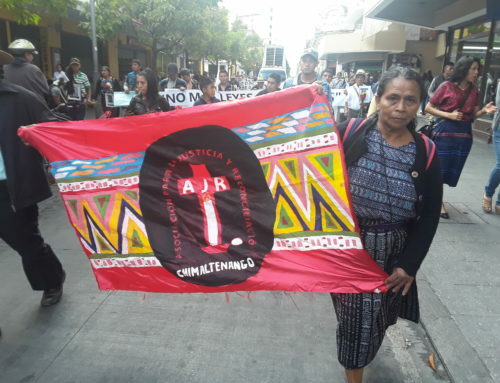 After more than twelve hours of travel, they arrived in Guatemala City to stand in solidarity with the Ixil genocide survivors who shared their testimony. 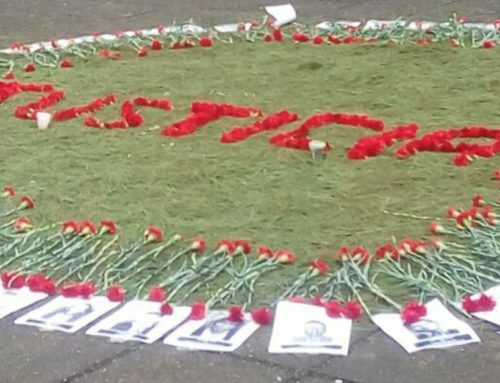 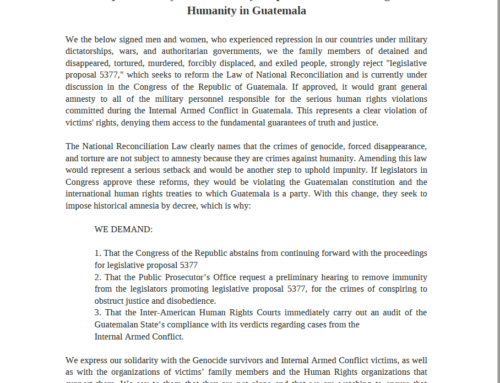 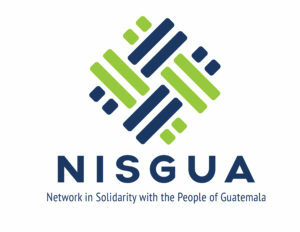 Youth throughout Guatemala have not only joined survivor organizations and provided solidarity through their physical presence, but have also creatively worked to defend the memories of those who were killed and disappeared during the conflict. 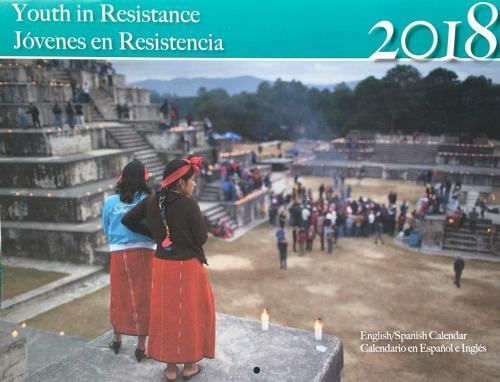 Through marches, popular education, theater, and art, youth have stood to protect the memory of their ancestors, to join in their call for justice, and to ensure that those crimes never happen again.